Which netbook would I choose today? In straight words, here’s my thoughts on the netbooks available at the moment. I’m not in the market for one but here’s what I’d consider if I was. Remember, these are personal opinions! Bluetooth, Windows XP, best-in-class size, weight and battery life would be at the top of my list. I also want something that looks nice, not just functional. 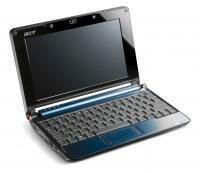 Eee PC 701. Screen res too small. Doesn’t look good enough. Feels outdated now! Eee PC 900. Wouldn’t choose any of the versions with split flash. 16G version is a possibility. No Bluetooth would cause me problems. Slow SSD is a no-no. 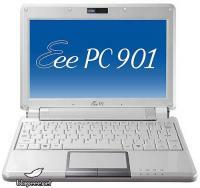 Eee PC 901. Battery life figures impress me. I like the look. Not an option for me if it has the split, slow SSD like the 900. Will wait for JKK opinion on upgrade (3G) possibilities. Price could be steep. Eee PC 1000. too big. Too heavy. MSI Wind. Too big. Too heavy. Sub 1KG and tight case around an 8.9″ 1024×600 screen is where it’s at. Acer Aspire One. Stylish. Good size, weight. 6-cell good. Where’s the Bluetoooth? HP Mininote. Stylish but too big and heavy. VIA C7 has an ‘old technology’ label in my head that I can’t get rid of. ECS G10L. Unknown quantity due to lack of info. Dell E, ECS G10L and Gigabyte M912 could be in the list but aren’t available to order right now. This could all change in a few hours as I’m waiting for the first Euro reseller pricing on the M912! 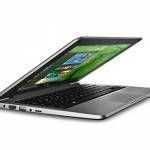 Update: M912 Pricing is now in and it takes the device into my top netbooks list. Previous experience with Acer build quality and their service was plain rubbish. Let’s hope they’ve bettered their life. I see you have “No bluetooth” mentioned on several models there, so which *DO* come with BT ? 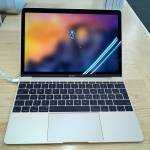 Leaning towards considering the Mac Air w/SSD but just can’t justify the prices! Alternatively I would settle for a type HP Mininote, if we could loose some of it’s cons, such as weight etc. Oh btw you don’t mention much about battery times between the models above, that one of the KEY requirements for me to have like 4-6hrs of batter time. The MacBook Air SSD just dropped in price $500. Look at it again. I’m leaning towards the Linux 8Gb SSD version of the Acer as it’s a great price. I don’t need the bluetooth personally. My only concern is I can’t get a 1Gb RAM version without stepping up to the HDD instead of the SSD. im split 3 ways between the acer, the dell and the gigabyte. i must say that i love the acer for its dual SD slots. btw, i was not aware that the gigabyte one would get a expresscard slot. now thats something! I have been avidly looking into all of the netbooks since college went out this past year. My brother had a eee 701 which was a great machine, but its too outdated now. As your comments go Chippy, this is the exact way i would rank them as well. Although i have no interest in either the ECS or Gigabyte machines. My top would be the aspire one linux,80gb hdd, 1gb ram. Next would be the EEE PC 901 linux,20gb linux model. 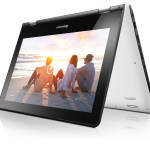 Im waiting to see what dell actually decides to say about pricing on the E video and E video+(they may be key players). I just hope that the battery on the aspire one is not the crappy 3 cell when it arrives in the US. A good battery life is key on these machines. Im gonna wait until school starts again right at the beginning of august and hopefully all of the specs and pricing will be final for all machines in the US at that time. what do u think about the kohjinsha sx3? it have a touch screen and a good resolution on the 8.9″ screen,DVD! and 1.3 intel CPU ,battery life is good aprox 4hours and there is extended battery for longer use. The weight is a little big 1.2K, but isn’t it the better choise today? The biggest thing is obviously availablility. 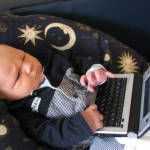 Even when these laptops have supposivly launched there is a delay. I first thought that I would only have to wait till June to make a decision but since none of them are even available to buy yet it seems like the wait is going to be much longer. hey chippy what will you use for mobile net between Gigabyte M704 and Acer Aspire ? Agree with your choices, but I would choose linux instead. That way I would have extra 8GB in case of the eee 901 for the same price and a better overall OS. Oooh, play.com have more Aspire One’s now. There’s a variety of configs available that were not there the other day. Linux and XP with variety of RAM and HD/SSD combos. If the Dell release is about a month away, I think I’m going to hold off a little longer before deciding. I was leaning towards a larger Asus/MSI 10-inch model, but if Dell has a better keyboard on the 8.9-inch then I think the portability factor would trump the other netbooks. Just read at eee-pc.de that the asus eee 903 was renamed to 900A, possibly it will be an eee 900 with atom processor. Also, maybe a better looking 901..
Where did half of the comments go??? What do you give a lady so sweet? Who makes my existence so complete.Should She get a Long-stemmed Rose? « Dell E. The ’30 Min’ Mobile Internet Device.